So it’s July and we’ve been trying to spend as much time as possible on the beach. However, sometimes orders stack up and we gotta find a way to bring the beach to us. And the only way we know how is cake! 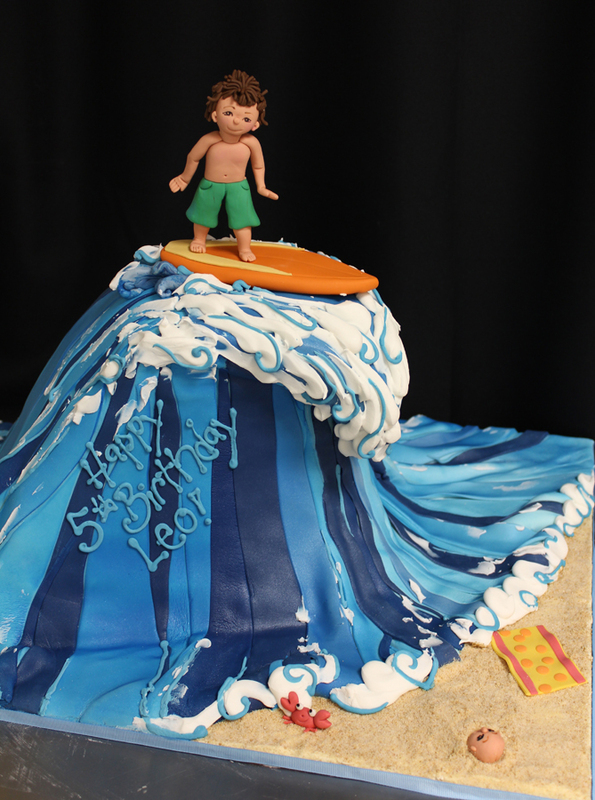 First off is a 5 year old riding a wave which is actually more like a tsunami in comparison to the beach below. But this is cake, not real life. 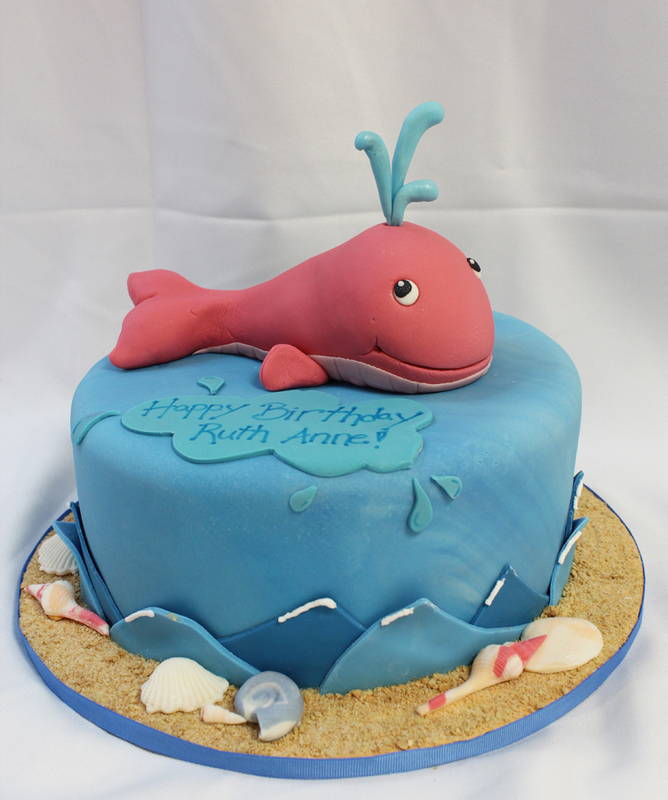 The world of cake is always idealistic. 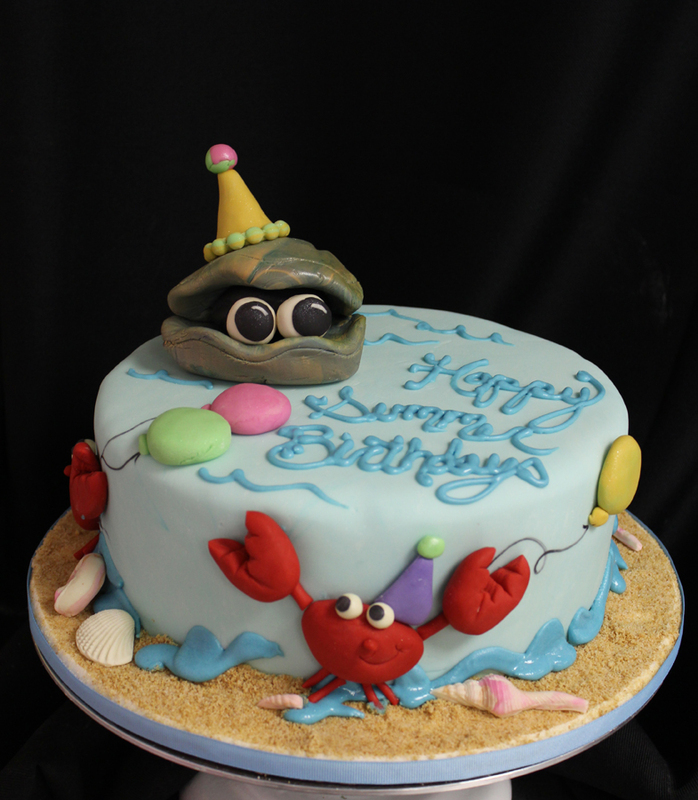 Who doesn’t love dancing crabs and clams who know how to party? 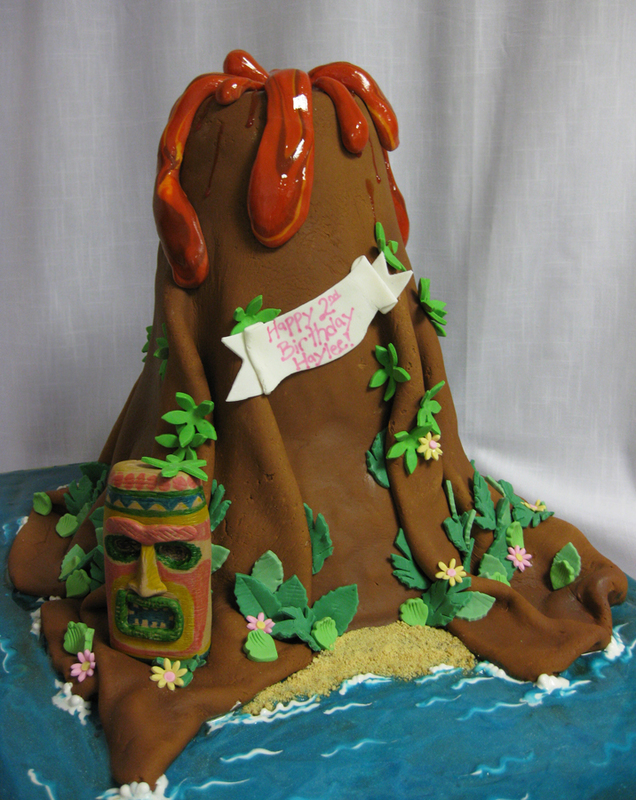 Even though there is molten hot danger lurking above this is still a tropical paradise of a cake. Whales can be sweet and innocent. 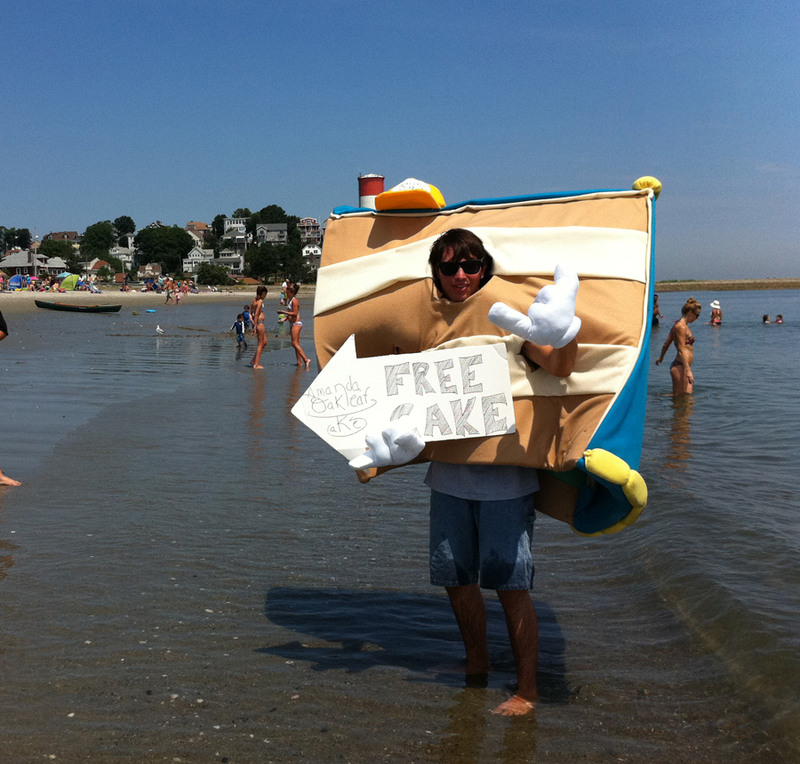 And who doesn’t love a piece of cake at the beach? This is our mascot Dr. Fresh (aka Brian, our cleaning guy) at Beach Day in Winthrop last Saturday where we actually got to go to the beach!